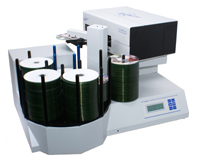 5 drive standalone & automated publishing system to duplicate and print CD, DVD+/-R and Blu-Ray. 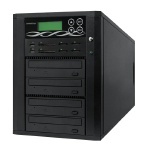 Duplicator features 160GB hard drive, 550 disc capacity, includes FlashJet 2 printer. Would you like to copy and print your DVD’s in one easy step? Then here is your publishing solution! The awesome TCP-7550BD will work as a standalone device that is ready for any user, or it can be networked to your MAC or PC for those who wish to send images via your network! 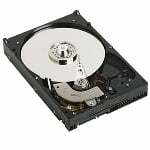 The TCP 7550BD comes standard with five disc writers, a gigantic 550 disc rotating hopper, an internal hard drive and TrueNet LX networking software for your network needs. The TCP-7550BD is also compatible with several different disc printers so you can choose the configuration that suits your needs! Flexibility at it’s finest! 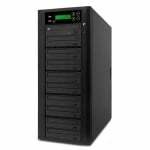 The industrial design of the TCP-7550BD will give you reliable service without the need for costly repairs. Reliable robotics combined with R Quest’s proprietary board technology, your publishing system will produce only the finest quality copies without the need for constant human intervention! Printing has never been easier! With the flexibility of the R-Quest controller, you simply create your print image on the program of your choice, load it on the TCP-7550BD and let the machine do the rest! It will merge your print file with your master disc and complete both tasks without switching machines! Ultimate convenience! Printing. Duplicating. CD, DVD or Blu-Ray. Standalone or network. Get the best of all worlds with the new TCP-7550BD!